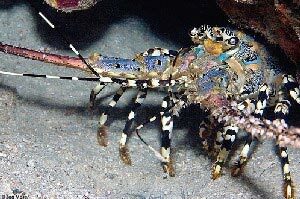 Lobster Wall is arguably Mabul's best dive site. One of the best sites in Mabul, this deep open water wall and reef dive with depths from 25 to 40m and with good viz of 20m, is crammed with colourful fish such as ghost pipe-fish, clown-fish, impressive looking lion-fish, seahorses, rabbit-fish and puffer-fish all hiding amongst the crevices and ledges off the wall and inside the corals. Take a closer look inside a cave famed for it’s lobster inhabitants.